Not only did Liverpool cruise to a 4-0 win over Brighton, when we only needed a draw, but Rafa Benitez’s Newcastle went and did us a massive favour by smashing Chelsea at St. James’ Park, which made our job a nerveless one. It would have been nice for Spurs to lose, but they beat Leicester 5-4 in a genuine Premier League epic to clinch 3rd place ahead of us! Thankfully though, Harry Kane only got two and finished second behind Mo Salah in the Golden Boot race! Liverpool fans lapped it all up like fine wine, naturally! Here’s some of our favourite tweets from the afternoon as Reds celebrated consecutively qualifying for the Champions League for the first time since Benitez’s reign, thanked our former manager for his contribution and lauded the world’s best player Mo Salah!
. @ChelseaFC have blocked us, so they won't see this – but we'd like to wish them luck in next season's Europa League anyway. Rafa Benitez hates Chelsea more than we do. Rafa Benitez masterclass. Once a Red always a Red. It will be a crime against humanity if Benitez doesn't win Manager of the Year. Man has taken a potentially mid table Championship club to the top half of the table, got results vs. grossly overpowered teams including a pure thrashing of Chelsea today. 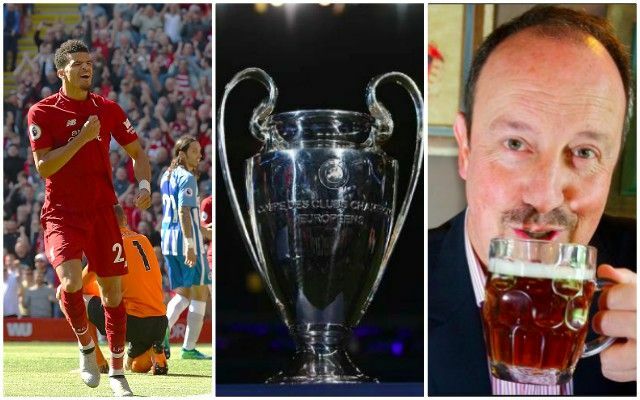 At this point, there can be no doubt that Rafa Benitez has devoted his life to continually finding new ways to make Chelsea supporters dislike him. Delighted for Solanke. Great confident boost before the season finishes. Absolutely made up for Solanke there. Deserves that goal after a really tough season. Brilliant moment for the guy. What a finish.